1. 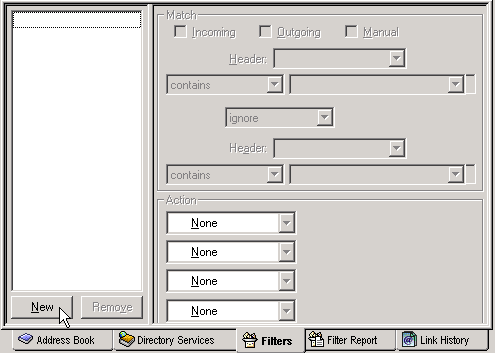 From the opening screen of Eudora, click on the Tools pull down menu, and then go to Filters. 2. From the Filters window click on the New button, located in the bottom left corner. 3. Once you've started a new filter, fill out the form so that it matches the one below. Be sure to note that the subject of the message starts with [Possible Spam]. Next we will create a new folder to store the junk mail. Do this by clicking the New button as shown here. 4. 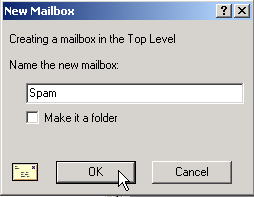 Name the mailbox Spam and click on Ok.
5. 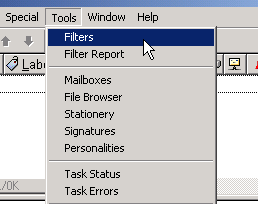 Close the Filters window and click on Yes to save your changes. 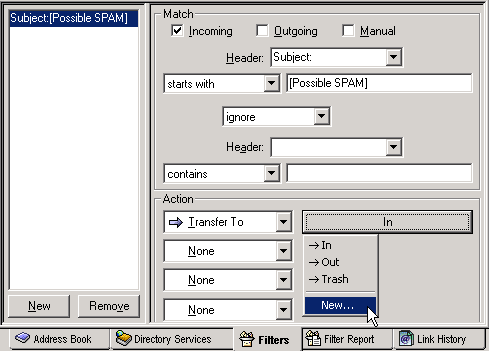 Congratulations, your new junk mail filter is complete!